Sometimes the most useful training aids are right in your garage, pool or boat. 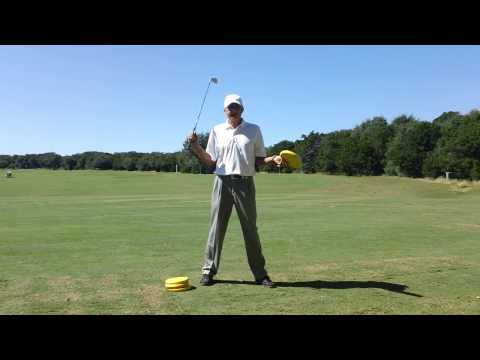 In this post I am swinging a simple foam noodle as a demonstration on how "lag" in the golf swing would appear. Lag is the term used to describe the timing of the release of the club. For example, if you look at pictures of TOUR professionals as they approach the impact area of the swing, you will see how the club head is behind the hands as their hand approach their back thigh area. They still have plenty of energy stored and at the last second, bam, they release the club to the target! To begin the process of developing lag, I am setting up with the noodle on the target side of the golf ball. I begin the swing with my hands and arms dragging the noodle creating some nice width in my take away. As I create width note how my torso is beginning to rotate and wind up. The key is to get to the top of the swing and then start the downswing by a slight weight transfer to the lead leg and rotation of the hips to the target. Note how the noodle is now "loaded" and ready to be released to the target. In particular note the difference in my hip position from the top of the backswing to starting down. Here I am at approximately the impact position with the noodle. With the noodle you can see the lag as the end of the noodle is still way behind my hands. Obviously the noodle is more flexible than a golf shaft, but this exaggeration will help you at least feel what should be happening. From impact there is just a free wheel feeling to the balanced finish. The beauty of this drill is you don't need to be at the golf course nor in your golf clothes. 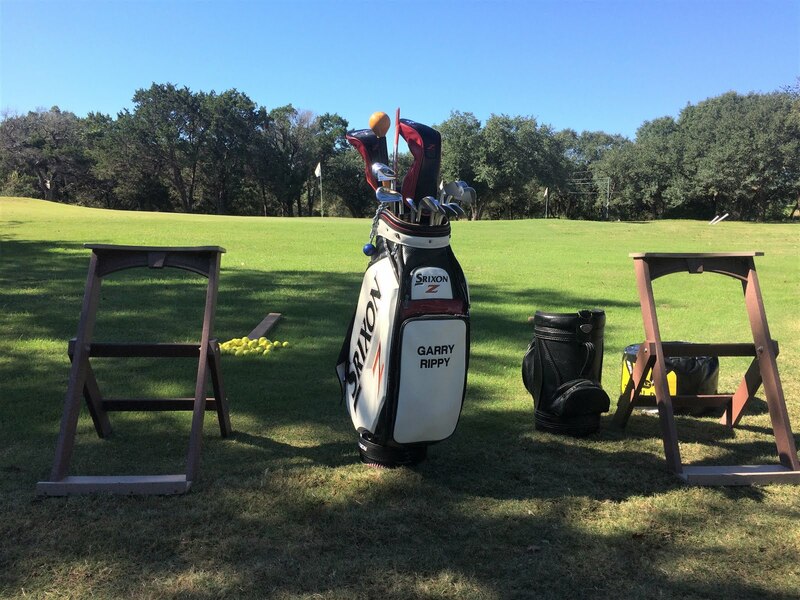 You could be in your driveway, back yard, pool or lake and still work on your swing! Watch the video below and you will get a better sense as to how the drill is performed. Congratulations to Abby Cloud and the Dripping Springs Tigers Girls Golf Team! Congratulations to the Dripping Springs Tigers girls golf team for advancing to Regionals by finishing second in their District 26-5A Championship this week. This is team member Abby Cloud, and we are working on "swinging" the golf club back instead of rolling the wrists. She was low scorer on the team for the second round. Lance Walker get his First Win! Congratulations to Lance Walker for getting his first tournament win. 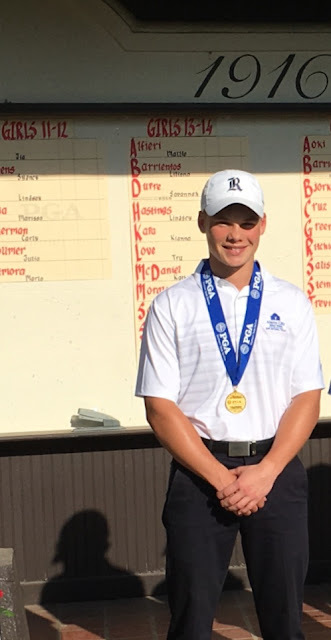 Lance won the STPGA Junior Tour (age 13-14) at historic Brackenridge Park GC in San Antonio, TX. This was his first time to shoot in the 70's in competition and only the second time since he started playing golf. He has been working hard on his game and the improvements are showing.